1. List the features of the tattoo-artist photo that might have convinced a Japanese that Taiwan was “backward.” Ask yourself what those features connote to you: backwardness, beauty, enlightenment, or something else? 2. 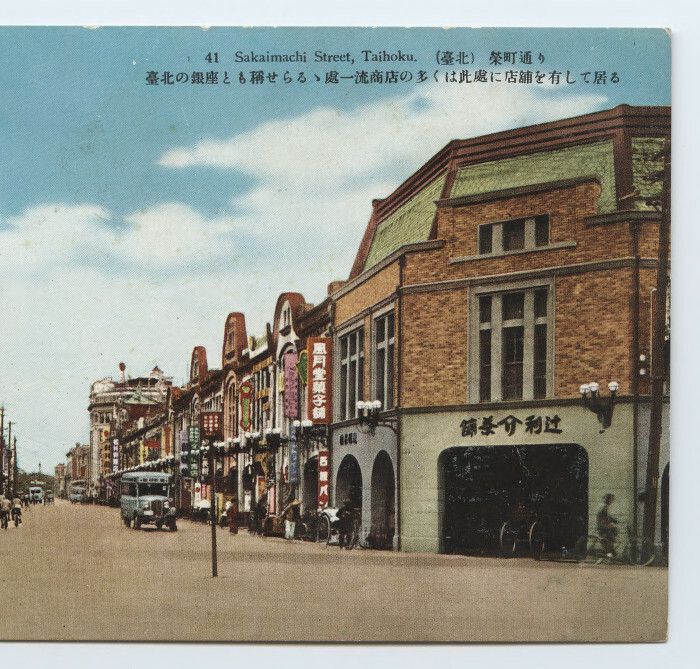 List the features of Sakaimachi Street that connote modernity and development. What might that have suggested to a Japanese consumer about Japan’s role as a colonial power? 3. How do you think Taiwanese would have felt about these photos as conveyors of information about their country? Aborigines. 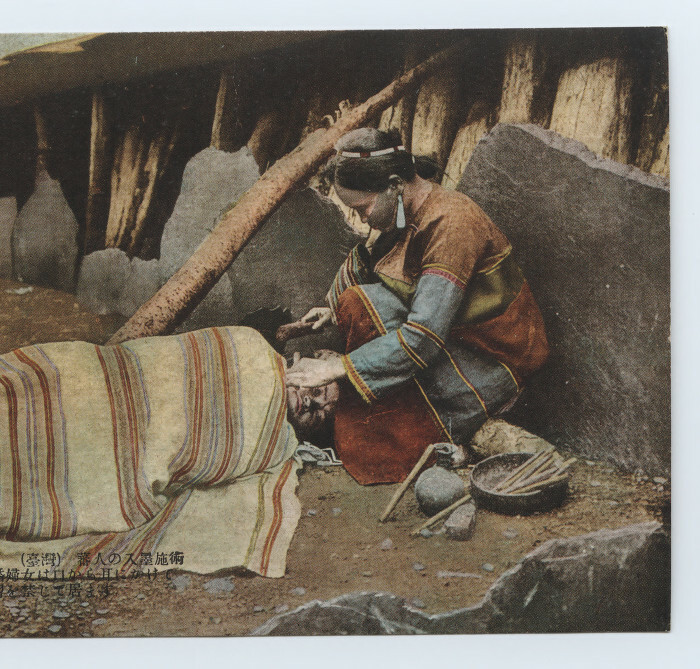 The card uses the term banjin, which Japanese typically applied to Taiwan’s mountain peoples; it can be translated “aborigine” or “savage.” The photographer wrote that the Atayal people (pictured here) “have the custom of tattooing to mark the passage to maturity.” The tattoo items, needles and soot, rest beside the woman who is doing the work. Ginza. Ginza was Tokyo’s most expensive shopping area, known for high class shops and the latest in fashion and material goods. Source: Michael Lewis Taiwan Postcard Collection, East Asia Image Collection, Skillman Library, Lafayette College.